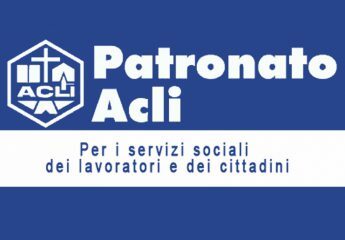 Patronato ACLI (Associazioni Cristiane Lavoratori Italiani) USA is a Christian Association for Italian Workers that was founded in New York in 1980. Starting in 1996 as a no profit organization, Patronato ACLI USA’s main goal was to ease poverty and provide assistance to the people who needed help with: social security, income taxes, labor rights and immigration laws. Patronato ACLI USA is 95% funded by the Italian government and, through the years, has also contributed to promote the Italian culture throughout the United States of America. Il Patronato ACLI USA (Associazioni Cristiane Lavoratori Italiani) e’ presente a New York dal 1980. L’organizzazione nel 1996 si e’ costituita come organizzazione no profit con l’obiettivo principale di fornire consulenza e assistenza alle persone bisognose in materia di prestazioni di sicurezza sociale, tassazione dei redditi, diritto del lavoro e diritti in materia di immigrazione. Inoltre, l’organizzazione contribuisce a diffondere la cultura italiana negli Stati Uniti. Il Patronato ACLI riceve oltre il 95% del suo budget da finanziamenti governativi italiani. How do I go about registering my marriage in Italy? We were married in New York and my husband is from Mola di Bari, Italia. I was told that I would be entitled to a percentage of his pension if he predeceases me. Dear Debbie, to register you marriage in Italy you need to provide a marriage certificate in long form that must be apostilled, translated and brought to the Italian Consulate. Where do you live? And where did you get married? As a widow you will be eligible of 60% of your husband’s pension.